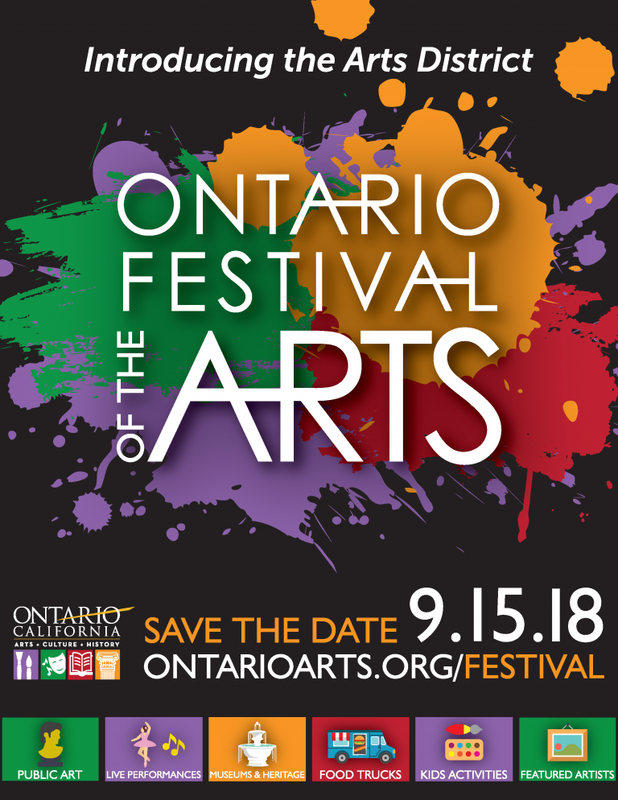 Thank you to all of the wonderfully talented artists who submitted applications to be sponsored with a free booth at the Ontario Festival of the Arts this year. It was a difficult choice. We wish we had more booths! Congratulations to artists Andrea Benitez, Tom Cypert, Bob Hurton, and Jimmy Purcell! 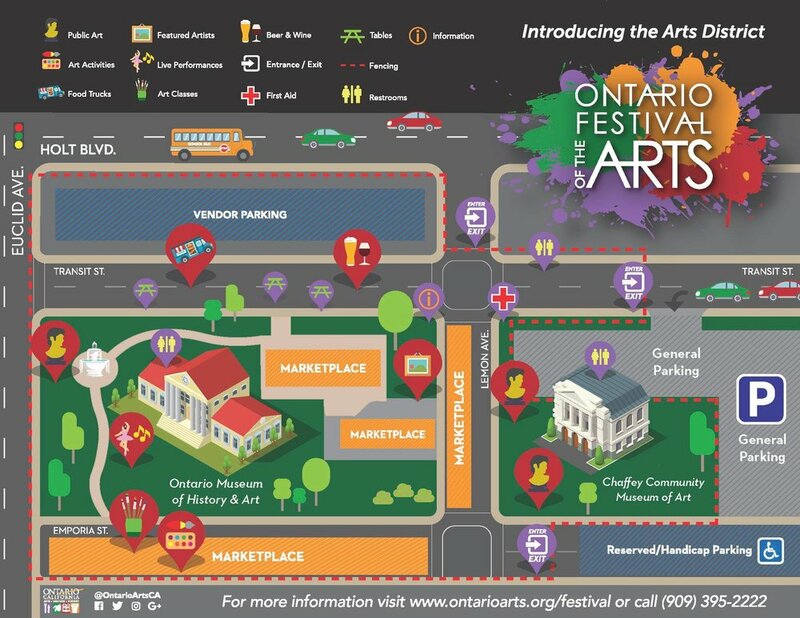 We look forward to seeing everyone at the festival 9/15 11am-6pm and then join us for post-festival Third Saturday activities across the street 6-9pm! Booth Rental Fee: Free for selected artists. The regular $75.00 fee will be sponsored by The Arts Area!